29 August is the International Day against Nuclear Testing, chosen by the United Nations to commemorate the anniversary of the closure of the Semapalatinsk nuclear test site, and to promote the initiative for nuclear disarmament, writes the Astana Times in an editorial article. Kazakhstan, for such a young country, can point to significant foreign policy achievements. It has built good relations with both the major powers and developing nations in every continent. It has won global respect for its commitment to promoting international dialogue and understanding whenever it can. But there is no single issue which better defines the country’s values, outlook and influence in the international sphere than its campaign against nuclear weapons. By actions as well as campaigning, Kazakhstan has taken on a global leadership role to rid the world of this threat to all who share our planet. Nothing better underlines this role than the fact that on 29 August, the world marks the International Day against Nuclear Testing. It is a date chosen by the United Nations because it commemorates the anniversary of President Nursultan Nazarbayev’s decision in 1991 to shut down the Semipalatinsk Nuclear Test Site. 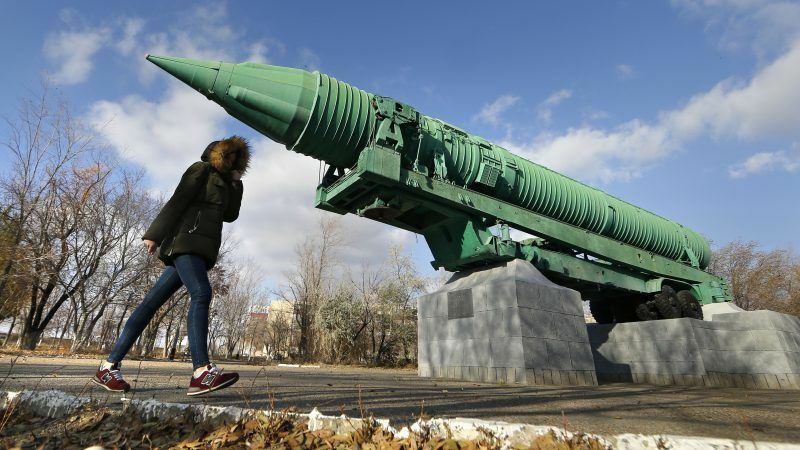 The decision to close the Semipalatinsk test site, the scene of nearly 500 Soviet nuclear tests, was all the more remarkable because it was taken months before Kazakhstan achieved full independence. It was soon followed by the even more momentous decision to give up the huge nuclear arsenal which the country inherited on the break-up of the Soviet Union. Both decisions were rooted in the country’s history and had the full backing of its citizens because Kazakhstan had, of course, seen first-hand the damage that nuclear weapons cause – damage which is sadly still continuing. But this tragic legacy also convinced Kazakhstan that it had to do more than turn its back on nuclear weapons and had a responsibility to help lift the dark shadow from our world. The history of the last 25 years shows how seriously Kazakhstan has taken this responsibility. From its strong support for the Comprehensive Nuclear Test Ban Treaty more than two decades ago to the hosting of the International Atomic Energy Agency’s Low Enriched Uranium Fuel Bank – officially launched on August 29 last year – the country has worked tirelessly to create the conditions which will see the world turn its back on these terrifying weapons. Practical building blocks towards this ambition, such as the Central Asian Nuclear Weapons-Free Zone, have been pioneered. Major conferences to identify and overcome challenges have been hosted. Raising the sights of the international community, President Nazarbayev urged them to eliminate nuclear weapons by 2045, the 100th anniversary of the UN itself. Meeting this deadline, as he knows and as everybody knows, will be very difficult. There may be overwhelming international agreement that we would all be safer if there were no nuclear weapons but there are many obstacles to overcome. Those countries that have nuclear arsenals can convince themselves it is vital to their defence interests when others retain the same weapons. In turn, nations which feel threatened by those states possessing nuclear weapons may believe their best interests are served by developing their own. At a time when suspicions between countries seem to be growing, these concerns are going to be even more difficult to tackle. But such tensions, along with the increasing and grave threat that these weapons could fall into the hands of terrorist groups, are also the reason why we must redouble efforts to create a nuclear weapon-free world. As President Nazarbayev told the UN Security Council earlier this year, it is rebuilding trust within the international community, not building more nuclear weapons, which is the best defence for countries and the best hope of a peaceful future for our world. We must hope that 29 August and the events to mark the International Day against Nuclear Testing, both in Kazakhstan, at the UN in New York and around the world, provide an opportunity to reflect on this important message.